View additional details on Amazon! The Krups Espresseria EA8250 is one of the top contenders for you to consider if you are interested in achieving that perfect espresso aroma, flavor, and crema via a super-automatic espresso machine, in the comfort of your own home. After using this home espresso maker for a little over six months, I came to various assorted conclusions, which I have briefly listed below. Following these summaries, I have provided a complete list of product features. If you are in a hurry or simply don’t want to weed through all of the information I have provided below, you can obtain additional information at Amazon by clicking here! One of the most important aspects of getting that unbeatable end result is brewing espresso with beans that are as fresh as possible. With this Krups espresso machine, you get just that. The beans are stored in a sealed hopper and then freshly ground at the time you start the espresso brewing process. 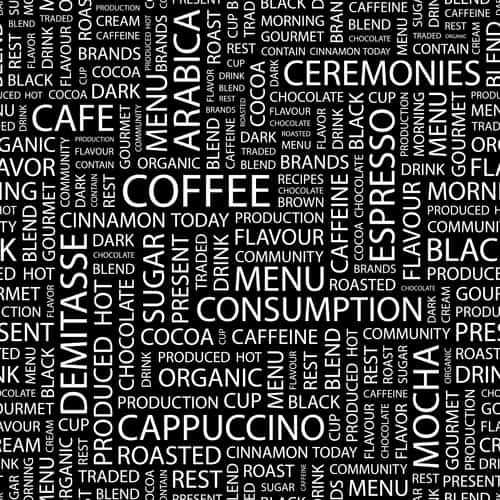 Even a few minutes after being ground, coffee beans can lose up to 40 percent of their flavor. Therefore, Krups decided that it was of the utmost importance to create a machine that would grind the beans just a few seconds prior to starting the brewing process, to allow the full flavor of the beans to truly be enjoyed. This machine is, therefore, definitely one of our favorites! Super-automatic build means the machine does most of the work for you. This machine has the ability to brew a large number of different beverages and can make cappuccinos, espressos, rich coffees, scrumptious hot cocoa, or even flavored teas. Very easy to use after a small learning curve. This machine has a built-in grinder, meaning you don’t need to have a separate whole-bean coffee grinder taking up extra space on your counter top. There aren’t a lot of programmable features, so if it is that you want, you might want to instead consider the Saeco Vienna PicoBaristo espresso machine, which is also super-automatic and includes many programmable options. The “cup clearance” (height of the space below the espresso dispenser) is only about 3-3/4 inches tall, which means a taller coffee cup will not fit beneath it. If you prefer to use pre-prepared pods, like those that are used in the Nespresso machines, this machine is not a good choice for you, as it only uses whole coffee beans. Although there is a built-in-grinder, it is a stainless steel one. I prefer ceramic grinders myself. If you are searching for a super-auto espresso machine that has a ceramic grinder rather than a metal one, you could check out the Saeco PicoBaristo, which has a ceramic grinder. View This Product On Amazon! Here is a complete review of the Krups bean to cup Espresseria for you to glance through if you have been considering some kind of bean-to-cup home espresso machine to wake up your morning coffee. If you no longer wish to make those daily treks to the local Starbucks, consider bringing the coffeehouse to your own home, and become your own personal barista! Your taste buds will love you for it! Krups, in its continuous pursuit of excellence, has chosen to offer this completely automatic home espresso machine which, in a matter of a a very short time, allows the owner of this machine the opportunity to appreciate an excellent mug of cappuccino, espresso, and more, from the most fresh state possible when it comes to ground coffee beans. This is due to the built-in bean hopper and built-in bean grinder that come with this machine. Grinding up the beans immediately prior to extracting the flavor from them provides for the best possible outcome when it comes to espresso. Is this machine in the Super-Automatic, Automatic, or Semi-Automatic class? This machine is in the super-automatic class of home espresso machines. There are not a ton of programmable features with this machine, and basically only include a programmable clock, as well as automatic start and automatic shut-off. This home espresso maker also has what is called an “integrated potentiometer,” allowing for the perfect coffee quantity setting needed for each coffee recipe, depending on your particular taste preference. Once programmed, this machine remembers and gives you that same setting each and every time. Is this machine easy to use? Customers who have bought this say that this this espresso machine makes brewing your own espresso at home a breeze. What types of beverages does this machine make? With this one, your choice of beverages is basically boundless, and you will have the ability to produce cappuccinos, espressos, rich coffees, scrumptious hot cocoa, or even flavored teas. How much cup height “clearance” does this machine allow? The cup clearance for this machine allows for cups that are approximately 3-3/4 inches tall. Does this machine use pods/capsules or ground coffee? This product uses coffee beans, and does not utilize pods/capsules. If you are searching for a machine that uses today’s E.S.E. pods/capsules, you could consider either the Nespresso Citiz Bundle, which uses Nespresso pods, or the DeLonghi Dedica, which uses either grounds or pods. Does this machine have a built-in coffee bean grinder? Yes, a built-in metallic conical burr grinder is included as part of this machine. What is the bean hopper size in this machine? A large bean hopper with a 9.7-ounce capacity remains sealed with the coffee beans in the hopper, ensuring the freshest coffee beans at all times. Does this particular machine have an LCD display? This one has a great front-panel LCD display. Also includes settings to select preferred homemade espresso and cappuccino recipes. What is the frothing capability of this machine? Included as part of this home espresso maker is a automatic cappuccino system for frothing milk in a very short amount of time, with an end result of hot and creamy lattes or cappuccinos. What is the brew time length of this machine? There is very little brew time wait time with this machine. 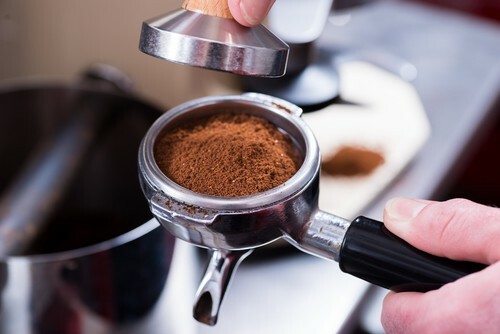 Because it has such as large water tank, as well as a built-in bean hopper and grinder, when you have it filled you can, with just the push of a couple of buttons and about 2 minutes to spare, have a freshly brewed home espresso or cappuccino any time of the day or night. How many cups at a time can be made with this machine? Based on the large size of both the water tank and the bean hopper, you can rest assured you will be able to prepare many beverages with a single refill of beans and water. The number of beverages at one time will depend on whether you are making single shots or double shots. Does it have a cup warmer? This espresso maker has no cup warmer. If you want one with a cup warmer, consider the DeLonghi Magnifica ESAM 3300. What colors is this machine available in? Currently available in black and red. What type of housing (outside casing) does this machine have? This machine is made of plastic that appears to be stainless steel. If you are looking for a truly stainless steel machine, both inside and out, and not only in appearance on the outside, the Dedica by DeLonghi would likely be a good choice. What type of water heating system does this machine have? This machine features a patented, unique Thermoblock system, for quick and even heating every time. The Thermoblock system technology provides for much quicker heating, as well as the perfect coffee temperature every time a cup is brewed. Does this machine have dual boilers? This machine has what is called a Thermoblock system. It does not have dual boilers. Customers did comment on how noisy this machine can be — not the loudest they have ever heard, but noisy, particularly in the morning. The general deduction is that there is not a home espresso machine available that does not produce some noise when in use. What is the bar pump pressure information regarding this machine? This one has 15 bars of pump pressure. What is the water tank size on this machine? Features include a 60-ounce transparent water tank, as well as an indicator to let you know when the water tank is empty. Is the water tank easy to access? Some people might not feel the removable water reservoir for this machine is easy to access, due to its location on the back of the machine. However, because it holds 60 ounces of water, accessing the water tank is not needed as frequently as with many other machines. Is clean-up easy for this machine? The removable drip tray and cake container (where the spent grounds go) make cleaning this machine very easy. In addition, included with your purchase of this machine are cleaning tablets and descaling powder. What is the weight of this machine? This machine weighs 10.4 pounds. What are the dimensions (measurements) of this machine? Product dimensions are 11.5 x 8 x 12.5 inches. Shipping weight is 23 pounds, although if you are an Amazon Prime customer, shipping is free with your purchase. If you are considering something that is lighter in weight, a good choice would be the DeLonghi Dedica. This one comes complete with a 2-year, 6,000-cup warranty. What is the wattage of this machine? This super-automatic home espresso machine operates with 1,450 watts of power. Coffee quality and ease of use – Customers who rated this product highly reported things including the quality of the coffee this machine produces, even better than coffee shops or restaurants, as well as how easy this machine is to use. Automatic disposal of spent coffee grounds. No need for a water line. Steamer nozzle – a favorite for instantly dispensing hot water for tea and hot-cocoa lovers. Quick brew time of less than 2 minutes from start to finish. One customer felt this home espresso machine would make a wonderful wedding gift. Easy set-up and push-button technology, allowing that first cup in the morning to be enjoyed without the “messing around” you get with other coffee machines. Auto clean and rinse cycle which only needs to be utilized once every 360 cycles. Alert to let you know when the cleaning needs to be done. High cost. However, although this machine has a list a price of over $1,000, it is regularly on sale for several-hundred dollars less than that price. The need to replace water filters every two months – Note that if you use filtered water, there is no need to replace the filter. A frother wand with limited flexibility. Somewhat high noise level – at least for those still snoozing in the morning. Clock does not display when the machine is not being used. Logged in as CarrieL. Log out?